1. To revive the magnificent engine that is the United States economy through a balanced yet targeted application of spending cuts, tax reform, trade reform, and common sense. 2. To invest in the nation’s infrastructure wisely, systematically, efficiently. Done correctly, such an expenditure of public funds will pay itself forward tenfold—all the while returning America to its bygone glory. 3. To secure quality, comprehensive public education as an inalienable right of our children—as well as one of the fundamentals of a free and prosperous society. 4. To aggressively address one of the most urgent yet most ignored problems that plague our nation: food. In the richest country in the world, it’s tantamount to a human-rights atrocity that industry and government conspire to keep the American people pumped full of garbage—and increasingly dependent on a broken health-care system. Guiding America toward healthier eating habits and access to better food isn’t a case of executive heavy-handedness; it’s a way of protecting its citizenry against those veritable domestic terrorists who parasitically profit from the degraded health and wellbeing of their neighbors. 5. To strike an amenable and mutually beneficial accord between industry and labor, as only an architect of the trust-busting era can. 6. To disregard partisan wrangling and ideological détente in favor of solid and positive pragmatism. 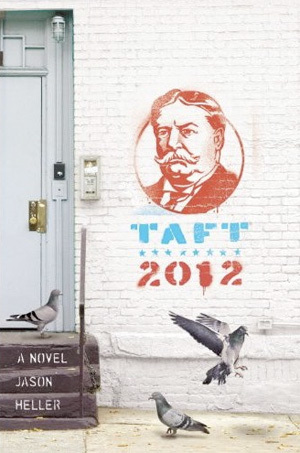 Taft won’t reach across the aisle; he’ll inhabit it. 7. To return an ethic of dignity, transparency, and accountability to Washington, D.C. Oh, and spats. Spats need to come back.